Sufi Sensation Kanwar Grewal returns with a new song 'Ranjhea Ve'. 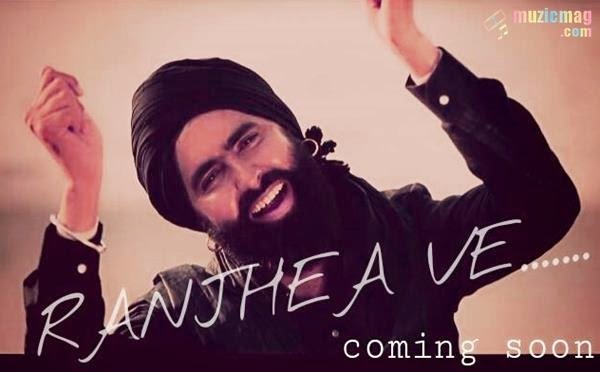 Lyrics and Video of Ranjheya Ve sung by Kanwar Grewal, Sufi Singer Kanwar Grewal is set to release his brand new song Ranjhea ve. Sufi Sensation Kanwar Grewal returns with a new song 'Ranjhea Ve'. Music of the song is composed by Dei Crew and Lyrics are penned by Famous Lyricist Kala Nizaampuri. Kanwar Grewal, is a sufi vocalist from Punjab who rose to fame with the blessing of his faqir bebe, living in a kutiya of malerkotla. Born in Mehma Swai, Bathinda, After Master degree in music at Panjab University, he was brought to kutiya with the help of a friend and never returned to home. He started his career with album 'Akhan' in 2013 and recently released another album 'Joginath'. Album 'Akhan' got viral in Punjab and whole Punjab drowned in the masti of his song 'Mast Bana Den Ge Beeba'. He also did a single 'Allah Hu' with famous female singer Kaur B and remains in trends with his live performences at Dargah Sai Laddi Shah Ji, Nakoder.